She has always liked even numbers. She has always been a fan of The Brady Bunch. 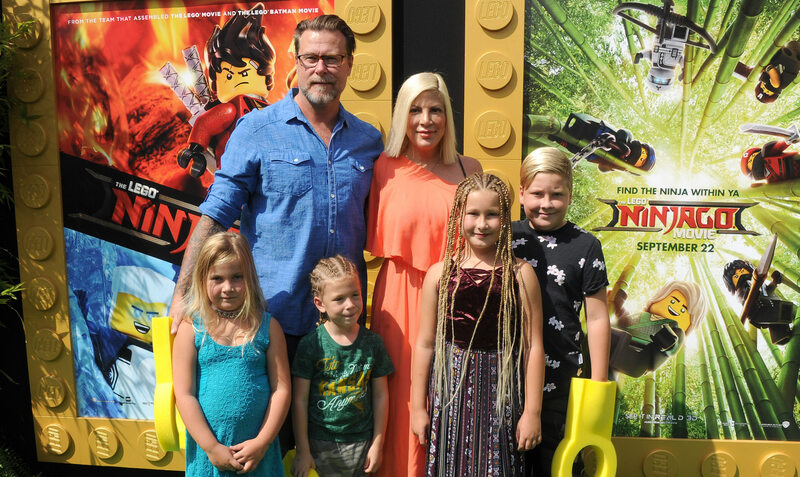 More: Why Can’t We All Just Be Happy for Tori Spelling? For the record, Spelling’s mom, Candy, is not on board. She told Us last month that she has her fingers crossed her daughter is finished popping out babies — maybe because Spelling also has a penchant for adopting miniature pigs that aren’t necessarily housebroken. But Spelling is undaunted. At the L.O.L. Surprise Party! event in Hollywood last week, she also said, “We’re both believers… none of our kids are actually planned. So we’re believers that they choose us and when the time is right, it’s right. If not, we’re definitely blessed.” From that quote, it’s not exactly clear what Spelling and McDermott believe in, exactly, but we’ll assume it’s a God that rains children and miniature pigs upon people who profess their love for The Brady Bunch. Whatever the case, all that vague believing has churned out quite a swarm of cute kids for Spelling and McDermott and plenty of kid pics on Spelling’s Instagram feed. There’s Liam, 10, Stella, 9, Hattie, 5, Finn, 5, and Beau, 6 months old. So if Spelling is truly hoping to star in a reality TV Brady Bunch revamp, she’s poised for success. How is Spelling managing her current brood with work? At the L.O.L. event, she said, “People say, ‘How do you do it with 5?’ I’m like, ‘You don’t think about it. You just do it.’ There’s no thinking, so I just try to make sure my kids are my first priority and work is always second, so I feel like if you always keep that in your mind and go with your heart with your family in mind, it all works out.” Damn, Tori. How do you stay so chill with all those children and indoor swine? Things haven’t always been rosy for Spelling and McDermott, who managed to recover as a couple after McDermott cheated on Spelling with the most unfortunately named other woman of all time: Emily Goodhand. Not sure what the towels are for, but hey, maybe that’s a pet pig thing. In the meantime, we’ll keep our ears open for any news that Spelling and McDermott and all their believing, Brady Bunch and bed picnics have conjured up the even-numbered six kids they’ve been dreaming of.